Is it time to clean out your garage or make room for a home office? Maybe your business is expanding and you need a clean, dry location to store excess inventory. No matter your storage needs, Safe Storage can accommodate them. We offer a variety of unit sizes and types, including convenient drive-up units and temperature-controlled spaces. Choose a 5x5 unit for your outdoor equipment or holiday decor, or opt for a 10x30 unit to house your boat or large business equipment. Visit our Temperature-Controlled page to learn how your delicate items will benefit from a temperature-controlled storage unit. 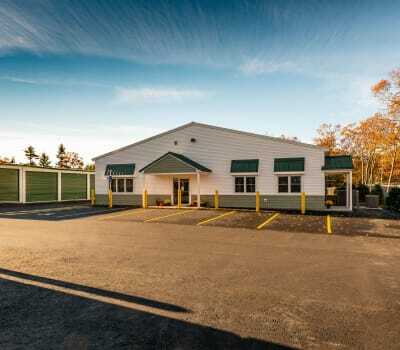 Our Safe Storage location near SMHC / Southern Maine Healthcare, formally known as Goodall Hospital, makes it easy to swing by our storage facility on your way home from work. Drop off or pick up your items whenever your schedule allows thanks to 24-hour, 7 days a week gate access. Our brand-new storage facility in Sanford, Maine, is sparkling clean and offers modern features to make your move as easy as can be. Running out of tape or boxes? We have packing and moving supplies available for you to purchase. Moving bulky items? Our onsite carts and dollies will help with the heavy lifting. Come see our clean units for yourself. Give us a call or visit us today to get started.